Zander, also known as pikeperch (Sander lucioperca). You can fish for zander on lakes, at sea and in flowing waters. The brass-flanked zander does not match pike as a fighter, but it's all the more impressive on the end of your line. Finland's best zander stocks can be found in the Lake District of Southern and Central Finland, on the Gulf of Finland and the Archipelago Sea. Dark and muddy waters make for the best zander waters, but the species can also be found in limpid lakes. In Finland, zander live at the extreme limits of their range. The world's northernmost zander lake is Lake Kemijärvi. The warm summers of recent years have strengthened naturally reproducing zander stocks, while catches have increased significantly. Zander stocks have been promoted through stocking and zander have been reintroduced into lakes from which they disappeared in the 1960's and 1970's. Zander are found in more than a thousand lakes. Typical zander waters are major lakes, but zander also thrive in smaller ones. The best zander grounds in sea areas include river deltas and shallow bay waters. Many river systems are also good zander sites. 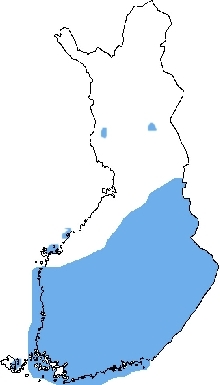 Examples of Finland's numerous great zander waters include the Helsinki and Turku Archipelagos, Lake Lohjanjärvi, the Vanajavesi–Pyhäjärvi lake route, Lake Vesijärvi in Lahti, as well as Lakes Kyrösjärvi, Kallavesi and Oulujärvi. Sizeable zander often bite big plugs. Lake Hirvijärvi, Nurmo. Zander frequently move around in small schools. 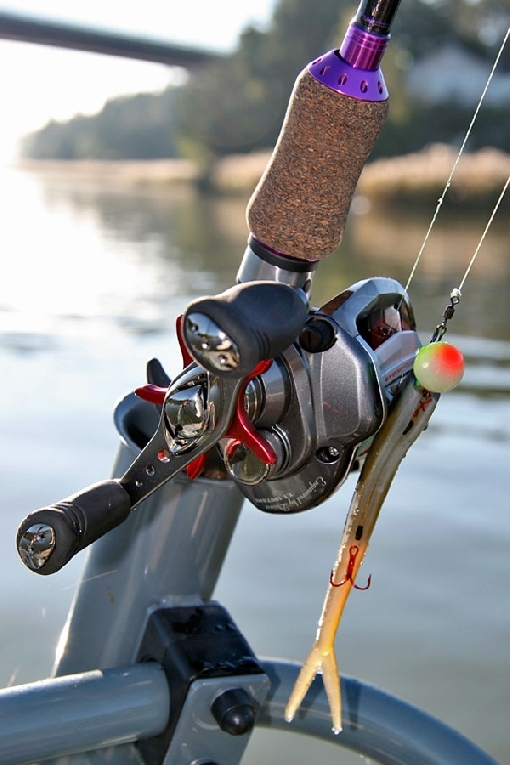 Once you catch one fish, it's a good idea to fish the surrounding areas more thoroughly. There's a chance that you'll get more bites quickly. Summer is the best season for catching zander. 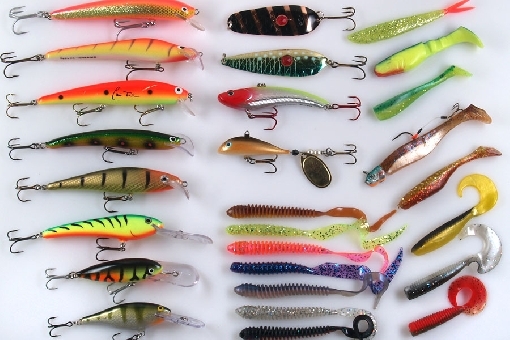 Jigging, which has gained in popularity in recent years, has extended the season into spring and autumn. The jigging season starts in May at sea and in early June in the Lake District. Zander are pursued with jigs in bay waters, shallows and slow-flowing sounds at a couple of metres early in the season and at the edges of mid-lake shallows and rocky areas in summer. 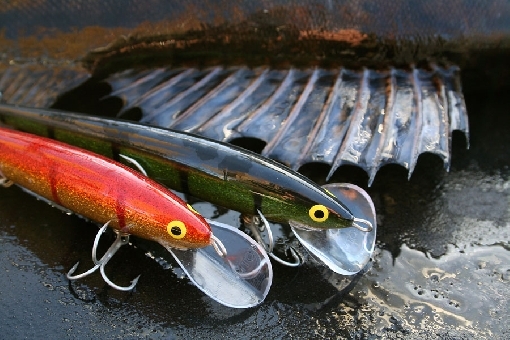 In autumn, people go after zander in deeper waters, using both jigs and spinning lures. 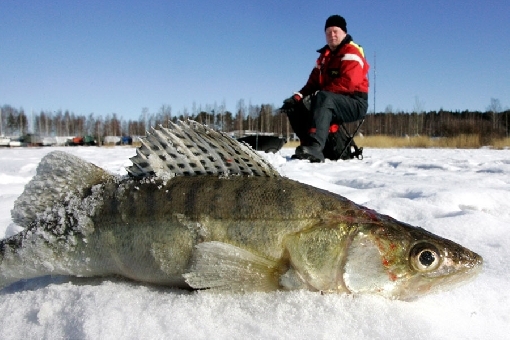 In winter, zander move into River Porvoonjoki and are eager to strike jigging lures close to the bottom. The most common form of fishing in midsummer is trolling at twilight using plugs and weighted lures. Early in the season, hot spots include edges of spawning shallows and, later on towards the summer, edges of mid-lake shallows as well. The deepest mid-lake areas provide catches during hot spells. Typical catch depth varies from just below the surface to 10 metres. 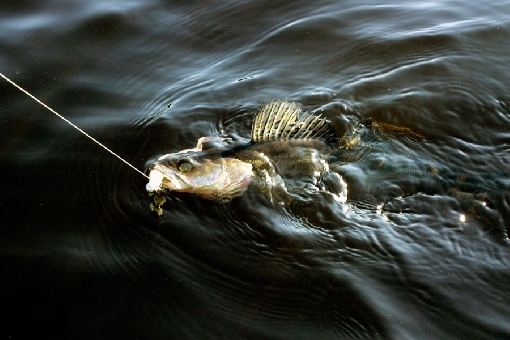 Trolling for zander is done at a slow pace, or very slow when waters are cold. Jigs also yield good catches during the day, whereas evenings, nights and the early hours of the morning are the best times for trollers. For winter anglers, zander is an interesting game species. 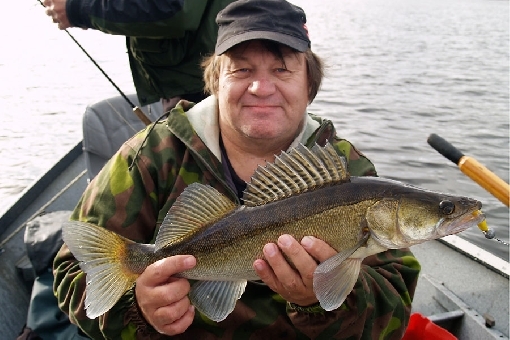 People go ice-fishing for zander on the Archipelago Sea and the Gulf of Finland. 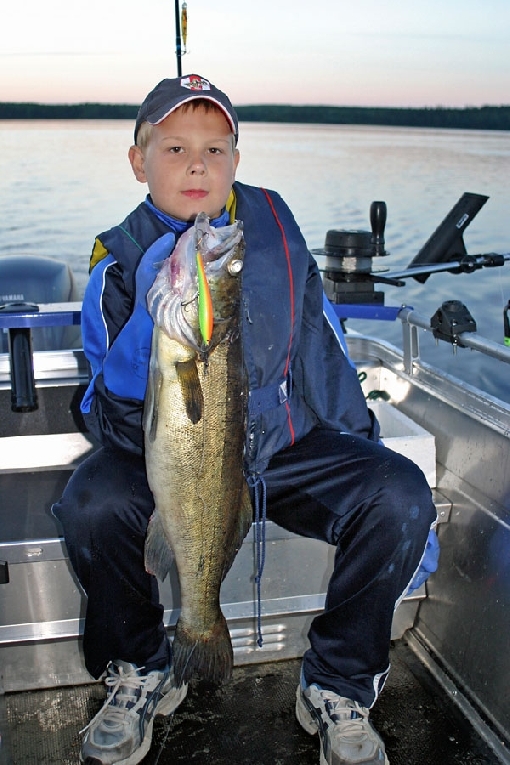 Ice-fishing for zander on lakes may also produce excellent catches. 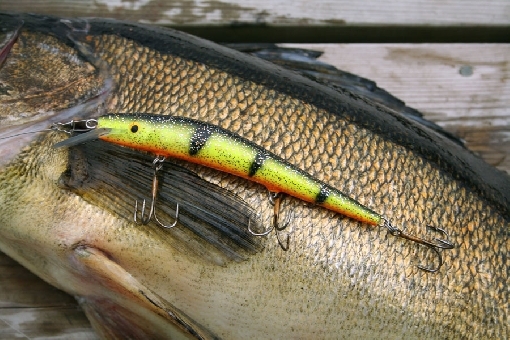 A zander weighing almost 11 kilos was caught with ice-fishing tackle on Lake Vesijärvi in Kangasala a couple of years ago. Anglers ice-fish for zander using big balanced sinking lures and vertical jigging lures with coloured treble hooks. A typical game zander weighs between one and two kilos. The best zander waters provide good odds of catches and your rod may even be bent by a real whopper of a zander. 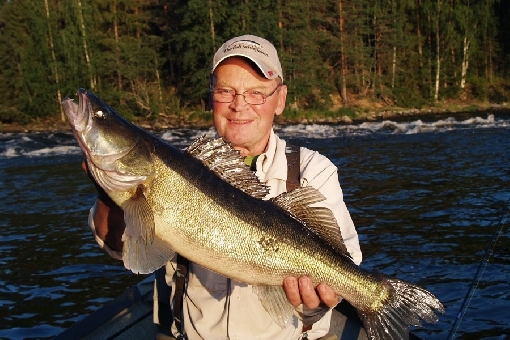 People catch 5-to-10-kilo zander every year on many lakes, but specimens weighing more than ten kilos are quite rare. Big zander can also be caught in coastal waters, in particular in spring, but the average size is generally smaller in sea areas. A big zander is strong and it may straighten out the hooks on the lure of a careless angler. A big zander is every angler's dream catch – and it will indeed remain just a dream for quite a number of them. This percoid has a mild taste and few bones and it's much loved by gourmets. Bon appétit! 4. The buzz of the brake in the dark, but which rod? Jigging for zander is fun, active and eventful!